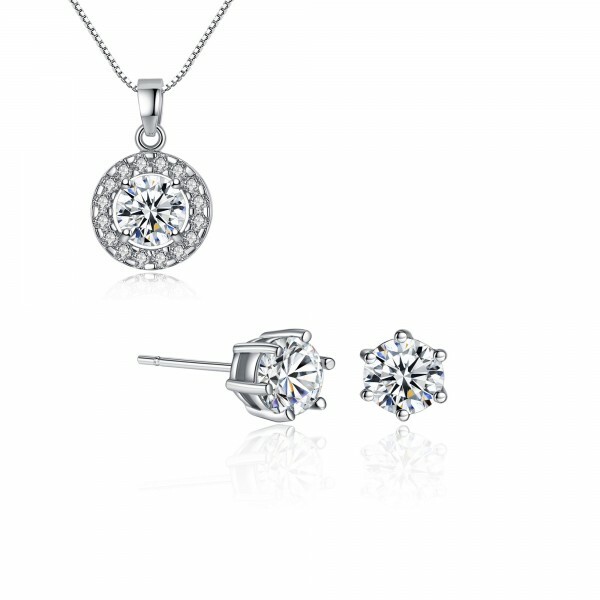 This flawless Solitaire Crystal Pendant & Earring set, which consists of a centre crystal measuring 7mm in diameter, is surrounded by 15 small Cubic Zirconia Crystals. 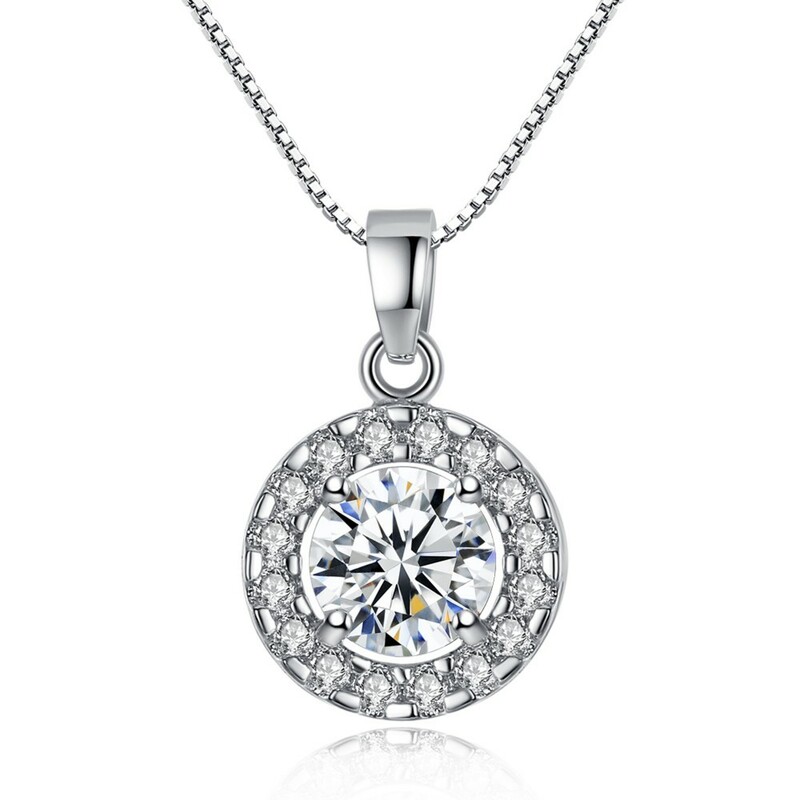 The pendant dazzles and shimmers in subtle ways, making a statement of classic, minimalistic elegance that completely shows off this stunning necklace that will repeatedly receive compliments. 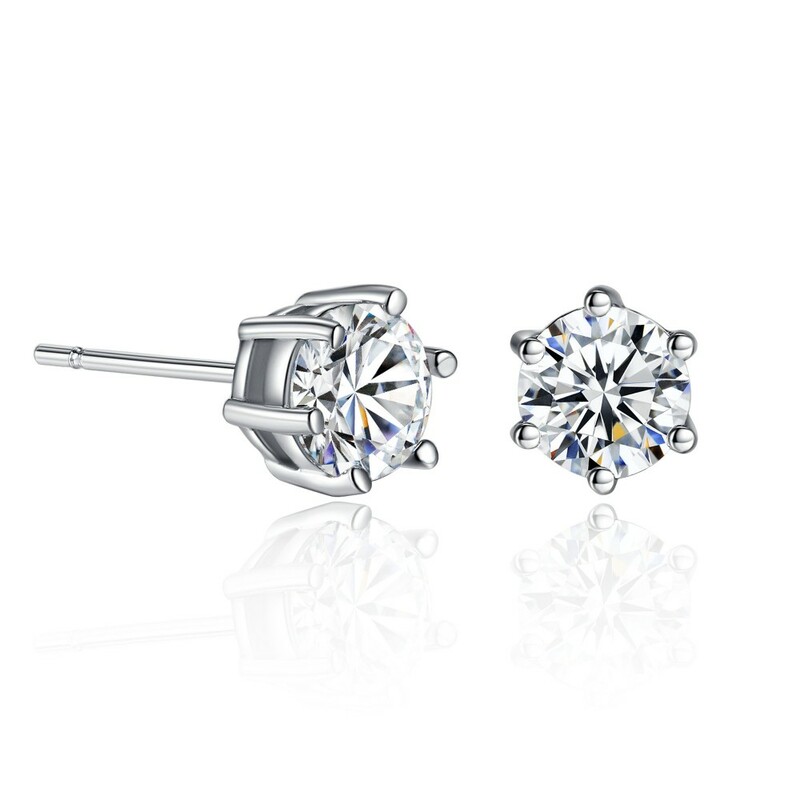 The stunning Solitaire Earrings with Rhodium Plating Made with crystal from SWAROVSKI®, measuring 6mm, in an elegant yet secure setting of Rhodium Plated claws. The pair of earrings dazzles and shimmers in subtle ways making a statement of classic minimalistic elegance. Also available is our matching slightly larger Solitaire Pendant. These earrings benefit from their very own luxury velvet pouch.